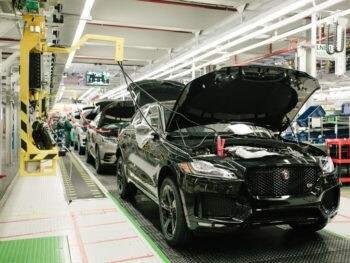 Jaguar Land Rover has reported a £3.4bn loss for the last three months of 2018 after being hit by both declining sales in China and the downturn in diesel demand. Announced just weeks after the carmaker confirmed plans to axe 4,500 jobs, the results saw the carmaker post revenues of £6.2bn and a pre-tax loss before exceptional items of £273m as its car sales fell 6.4% to 144,602 units from 154,447 for the same period in 2017. However, it also wrote down its capitalised investments, resulting in a non-cash £3.1bn pre-tax exceptional charge and an overall pre-tax loss of £3.4bn for the quarter. He also said that the carmaker continues to work closely with Chinese retailers to respond to current market conditions with a ‘Pull’ based approach to vehicle sales. “We are taking the right decisions to prepare the company for the new technologies and strong product offensive that will enable a long-term future of sustainable profitable growth,” he added. Professional services consultancy Begbies Traynor commented on the announcement. Partner Julie Palmer said: “The automotive industry has been vocal on its thoughts about Brexit, and in particular, a no-deal Brexit. However, for JLR, it has also been hit by a diminishing Chinese market and the impact of governmental policy changes towards diesel. “As such, the automotive manufacturer has experienced a sharp fall in sales amid job cuts of up to 4,500 – nearly 25% of its UK workforce. The firm also announced plans to temporarily shut down its UK plants in April, while the Land Rover Discovery production will be moved from the UK to Slovakia this month. “However, it hasn’t only been JLR struggling under these conditions. According to our latest Red Flag Alert research, the number of automotive businesses in significant financial distress rose by 3% in Q4 2018 from the previous quarter. This is a trend we expect to continue while the threat of a no-deal Brexit is looming and other major markets remain in decline.